Our purple Ladies ECO Tri-Blend Scoop Neck T-shirts were hot sellers during our 2016 Tour. This Charcoal Ladies ECO TriBlend Scoop Neck T-Shirt is super soft, made from 50% polyester, 37% combed cotton and 13% rayon. 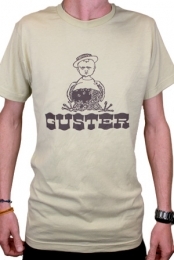 This T-Shirt is not only soft, it's breathable, and has a figure flattering fit. Made in the USA by Royal Apparel. The New Free Range Folk Design is screen printed on the front of the T-Shirt with white ink. 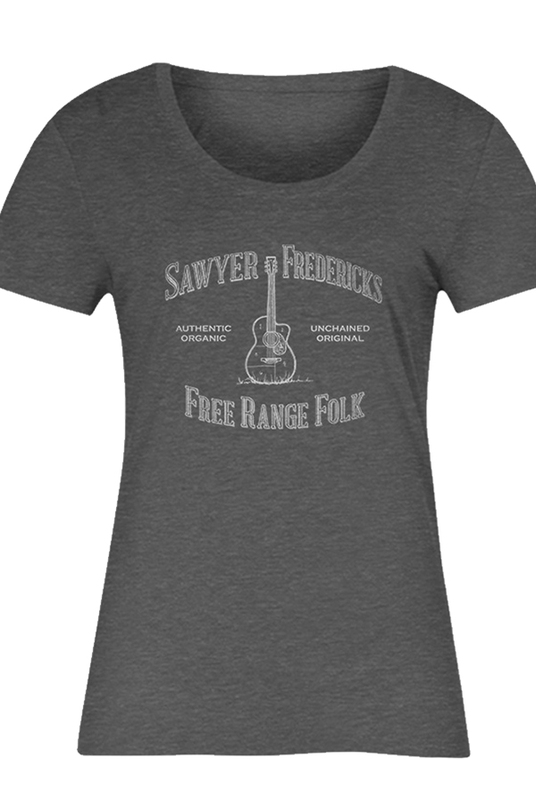 Sawyer's Free Range Folk Design, was crafted by Kirsten Fredericks. Sawyer's New Free Range Folk Design T-Shirt has a tear away label and is machine washable, machine dry on low.